Where has the local government demand that a fifty-cent highway toll be paid by personal check or money order? Central Florida, of course! Visitors have shared this common story through the years: you exit the highway and encounter an unattended toll plaza. There is a basket into which you toss your toll. But if you don't have change, there is no provision to pay with a credit card. You have no choice but to run the red light and leave without paying. Naturally, there is a camera recording this event. The fine is $100 if the toll is not paid within 10 days. Many tourists who didn't carry personal checks on their trips did not bother to stop somewhere, pay for a money order, find a stamp and then look for a mailbox in order to pay a small toll. The people who designed this less-than-friendly system drove lots of revenue into their coffers -- my guess is they were happy to collect the $100 fine. Fortunately, many Central Florida toll roads are going to a system where a photo of your license plate is recorded and you're sent a bill for the toll charges. Still, it's smart to either carry plenty of change or get an electronic pass that speeds you through at a discounted toll. Car rental companies offer them as accessories at an additional charge. If you'll be driving in the area for a few days, it's can be a money-saver. Common mistakes in Orlando travel often start at the front door to your hotel room and involve pizza deliveries. In Orlando, scam artists enter hotel hallways uninvited and slide fliers under doors for fictitious pizza parlors. The names of these places are carefully worded to resemble legitimate businesses in the area. You call the number on the flier and order your pizza, giving the restaurant your credit card number. Sometimes the pizza never arrives. Other times, you'll get a very low-quality product made in someone's garage. Your opinion about the product doesn't matter. They're not after your repeat business. They are after your credit card number for purposes of stealing your identity. To be clear: not every pizza parlor flier you see in Orlando is fraudulent. But if it is slipped under your hotel room door, maintain some cynicism. It's better to ask the front desk for a delivery recommendation or consult a directory. From Philadelphia to Phoenix, you've seen these airport shuttle services that run passengers between terminals and other strategic locations. In Orlando, these services can be costly. 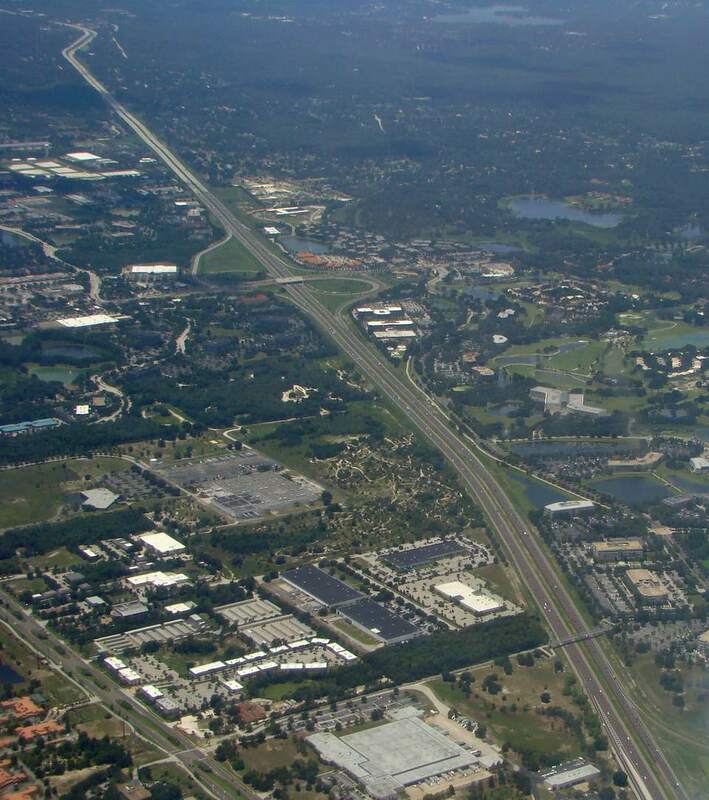 Budget airlines such as Allegiant serve Orlando through the Sanford International Airport, about 30 miles north of Orlando International. The two airports are connected by -- you guessed it -- a toll road. Although plenty of people need transportation between the two airports, it is difficult to find a reasonably priced shuttle. For example, services connect Fort Lauderdale and Miami airports for about $40. Here, you can expect to about twice that amount for the one-way trip. To avoid this dreadful pricing, you can book a one-way car rental, which involves picking up at one airport and dropping off at another. Rental companies here are acquainted with this practice. By the way, it costs more to go from Orlando International to Sanford than it does Sanford to Orlando International. Doing this twice is still less expensive than catching shuttles. If you're returning a car rental near the Orlando International Airport, beware of the conveniently located gas stations on Semoran Blvd., not far from the airport entrance. I stopped at one such station about 5 a.m., needing about two gallons to top off the tank. After I had already started pumping, I noticed the price per gallon approached $6. To our friends from Europe, that's a bargain. But on this particular day in Orlando, it was roughly $2/gallon higher than the going rate. Businesses are free to charge whatever they want for gasoline. But exercise your right to buy elsewhere if at all possible. The convenience is rarely worth that price. Stopping at a Variety of "Visitor Centers"
This is a picture of a Florida Welcome Center. They are found along highways at the borders with Georgia and Alabama. They are legitimate, state-run centers where you'll get free citrus drinks and information for your trip. But throughout Central Florida, you'll see billboards beckoning you to welcome centers or visitor centers with various names. Attached to the message will be promises of deep discounts and even free Walt Disney World tickets. Those discounts frequently come at a price. Orlando has a large concentration of timeshare resorts. To generate prospects, sales people sometimes give away deeply discounted or even free admissions to area attractions. A bargain-conscious person who is obviously a traveler is often a qualified lead for them. In return for your discount, you'll be required to sit through a timeshare sales presentation, which could involve up to half a day. Some of them are high-pressure ordeals. Is that how you want to spend your vacation? How valuable is that discount when balanced with your investment of time and trouble? Whether you're in England or Kissimmee, the standard issue radar gun is pointed right at you. As a tourist, it is unlikely you will show up in court to contest a speeding ticket. And let's be honest -- in the vast majority of these cases, the radar gun tells an accurate story of guilt. People who drive hundreds of miles to get to a theme park feel the adrenaline rush when they start seeing those signs directing them to their final destinations. Instinctively, they use a lead foot to get there a bit quicker and blue lights flash in the rear-view mirror. Obey the posted speed limits. Enforcement operations abound in this area, the tickets are expensive and warning citations are rare. Most of us plan vacations carefully, sometimes making arrangements months in advance of travel. If you'll be visiting theme parks, plan to visit their respective web sites and search for discounts. Many times, buying a multi-day ticket will save money and fit into your itinerary. Park-hopping passes and other discounts at Walt Disney World can save significant money under the right circumstances. Don't simply walk up to the turnstiles and ask for a standard one-day admission. If you do, chances are you'll pay too much for your day at the park. People complain about the prices for food at theme parks such as Walt Disney World, but the truth is that it costs a lot to maintain a quality food service in these settings. It is only natural that these costs are passed along to the consumer. A modest lunch at a counter such as the one pictured here really won't cost a great deal more than what you'd pay at your corner fast food restaurant back home. But there are restaurants where you'll pay a much higher premium for service that doesn't merit such costs. Plan your day so that you'll be eating most meals (especially dinner) off the theme park property.